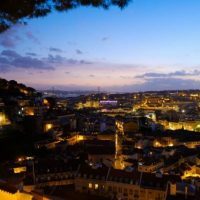 In an “historic night” in Lisbon, the World Travel Awards came through for Portugal. Best touristic destination, best city-break, best island destination… the accolades just went on and on. In all, this tiny country on the edge of Europe got 17 coveted feathers in its cap, and is basking in the glory of a two-year run as “best holiday destination” on the globe. To add to all the ceremonial razzmatazz, these latest awards were announced as Lisbon hosted WTA’s ‘grande finale’ of 2018. Portugal went into this latest contest, known in the trade as the ‘Oscars of Tourism’, with 55 nominations. The 17 ‘top prizes’ scooped were 10 more than the country took this time last year.